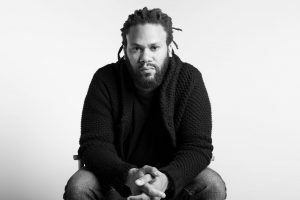 Franklin Leonard is the founder of The Black List, a yearly survey highlighting Hollywood’s most popular unproduced screenplays, and the company created to continue its mission. More than 400 Black List scripts have been produced as feature films, earning more than 275 Academy Award nominations and 50 wins. Franklin has worked in development at Universal Pictures and the production companies of Will Smith, Sydney Pollack, Anthony Minghella, Leonardo DiCaprio, and John Goldwyn. He has been a juror at the Sundance, Toronto and Guanajuato Film Festivals and for the PEN Center USA Literary Awards. He serves on the advisory boards of the Young Storytellers Foundation and the Bernard Van Leer Foundation. He has been named one of The Hollywood Reporter’s “35 Under 35,” Black Enterprise magazine’s “40 Emerging Leaders for Our Future,” The Root’s “100 Most Influential African-Americans,” and Fast Company’s “100 Most Creative People in Business.” He was awarded the 2015 African-American Film Critics Association’s Special Achievement Award for career excellence. He is a graduate of Harvard University and was inducted into the Academy of Motion Picture, Arts, and Sciences in 2016. Leonard joined the PEN America Board in 2018.